Some of the details are surprising (the fact that there will be sequels), others not so much (the fact that there will be sequels). This one falls into the less surprising, and somewhat obvious area of the spectrum. Brace yourselves, but "Star Wars: Episode VII" will be shot, at least partially, in England. The United Kingdom. Most likely in or around London. It's going to filmed at a major studio there, but they're not revealing who/where it is. "We've devoted serious time and attention to revisiting the origins of Star Wars as inspiration for our process on the new movie, and I'm thrilled that returning to the UK for production and utilizing the incredible talent there can be a part of that," said Kathleen Kennedy, President of Lucasfilm. "Speaking from my own longstanding connection to the UK with films like Raiders of the Lost Ark, Empire of the Sun and recently War Horse, it's very exciting to be heading back." Earlier this year, representatives from Lucasfilm met with the Chancellor of the Exchequer, George Osborne, in London to establish an agreement to produce Star Wars in the U.K. "I am delighted that Star Wars is coming back to Britain. 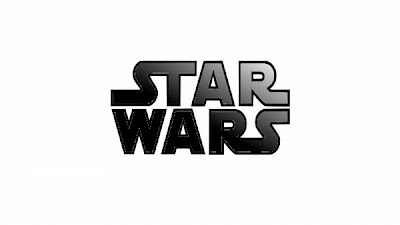 Today's announcement that the next Star Wars film will be shot and produced in the UK is great news for fans and our creative industries," Osborne said today.Star Wars: Episode VII will be directed by J.J. Abrams from a screenplay by Michael Arndt and is scheduled for a 2015 release. Now we have to wait see what the date they plan on releasing it. I think I'll bet my money on... May. Then what are we waiting for? Casting announcements? Concrete conformation of the original cast? Plot details? Official synopsis? And a million other things to be known before we get to the release. I have a feeling the new films will feature the "Wars" part even more, like "The Guns of Navarone." Space Opera like Star Wars is closer to Westerns and War films than anything. I'm actually looking forward to the new series. "not only have all the others been filmed there" - no. Eps IV, V, VI and I were filmed primarily in the UK, but Eps II and III were filmed in Australia.